In a lengthy Facebook post Thursday, the student studying at the University of Creative Arts, said she was targeted by “a mixed group of racist white and black strangers” as she was walking down the street late Sunday afternoon. Feeling angry, the alleged victim said she threw some of the rubbish back, to which her assailant responded by saying “How dare you hit me” and pushing her to the ground. “Around 10 people ganged up on me and started beating me up. I tried to stand back up, but one girl pushed me to the floor again and started punching me in my head and face. As I fell to the ground, they kicked me,” the woman wrote. “I remember shouting, ‘This is the twenty-first century, stop being racists’ and I kept screaming as there wasn’t much I could do whilst getting beaten up by a group of 10 people,” she added. Her story, which has been shared over 2,000 times in English and Korean, has garnered both sympathy and criticism of the seemingly lackluster response from the British police and South Korean Embassy. The student said she called the police and filed an online report with them about the incident, but the police did not show up after she waited for more than an hour, and the only response she received was an email saying she should see a therapist. Turning to the Korean embassy for help, the victim further ran into obstacles as an embassy official said stepping into “civil affairs” would be out of their jurisdiction and that she would have to seek help through police, according to the student. 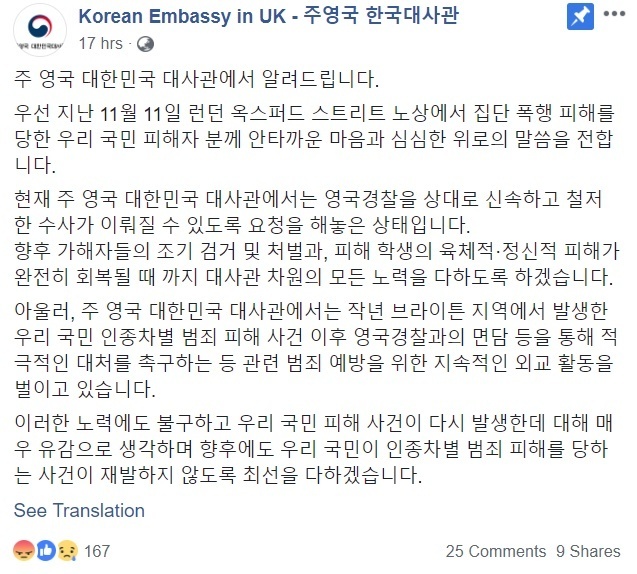 In a statement issued on Thursday on Facebook, the Korean Embassy offered condolences and added it had asked local police for a through and swift investigation. 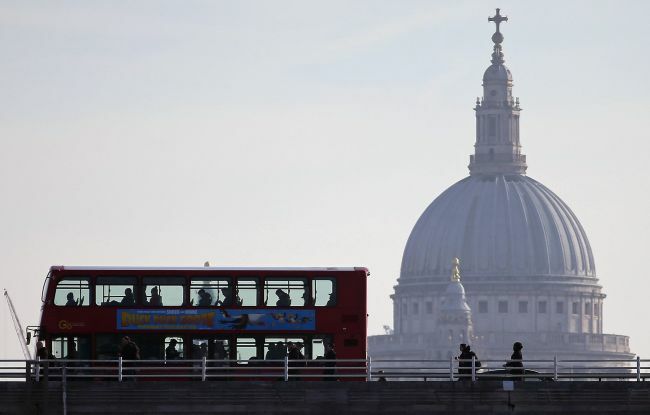 This is not the first time a South Korean student studying in the UK was targeted in an alleged racial attack. In October 2017, a male student was hit with a bottle in the face on the street in Brighton, which left him with broken teeth. The vicious attack which was caught on tape triggered both outrage and support for the victim, prompting the South Korean Embassy to issue a warning over the rise in number of hate crimes in the UK. A fundraising campaign was also launched to cover his dental treatment. So far, more than 10,000 people have signed the petition shared by the female student who was recently attacked. “I hope that the assaulters get a proper punishment because if they did this once, they will do it again. I don’t want other people be a victim like me,” the petition page read.